We’re a new kind of insurance. We built Coalition at the intersection of technology and insurance to address what is now the single most prevalent risk to small and medium businesses—cyber risk. Nothing is secure and businesses are left picking up the pieces when their security fails. We’re here to fix this. of all cyber attacks worldwide are directed at small and medium businesses. small and medium businesses will fall victim to a cyber attack despite significant investment in security. 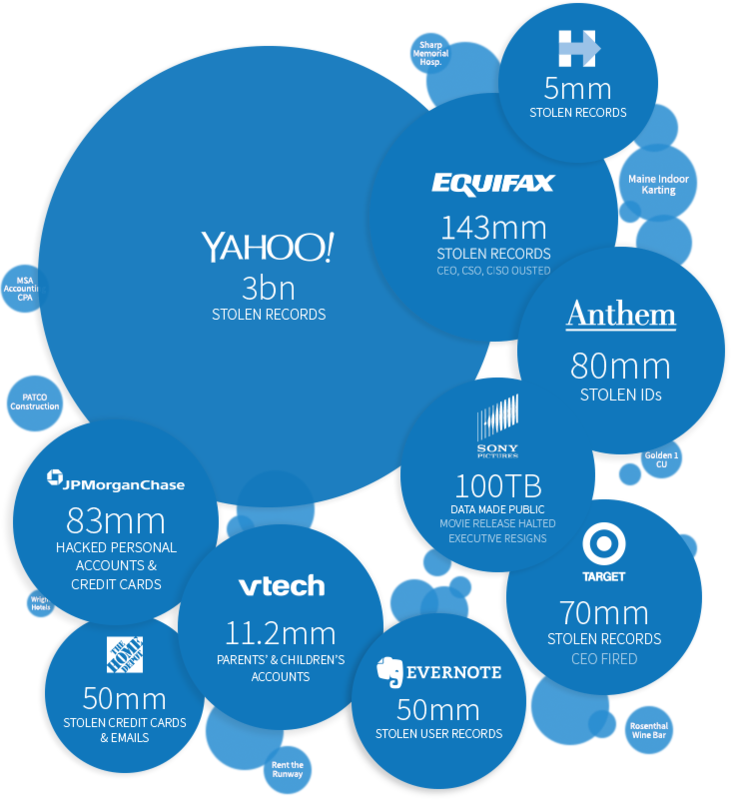 is the average cost of a data breach according to IBM. Technology alone won’t protect your company. Coalition is purpose-built to help your company at every step of the way, even if your cyber security fails. Our coverage complements and enhances standard business insurance, and our cyber security and risk management apps help prepare your organization, guide security investments, and prevent loss. We also provide pre-claims assistance with every policy so you can react to incidents head-on. Coalition’s proactive approach to cyber risk, along with our provided security and risk management apps, can reduce your costs to detect, recover, and contain a breach by over 40%. An employee loses a laptop with the private data of your customers. A hacker breaches your network’s defenses and steals your data. A file cabinet with sensitive records is accidentally left behind in a move. Each of these events can trigger costly, mandatory reporting obligations, and worse, result in your company being sued. We not only hire a lawyer to defend you, but also the costs to get you back on track. Case Study: Recently, a regional retailer lost the data of 80,000 customers following the theft of two laptops from a third party service provider. Under data privacy laws it is the retailer, not the service provider, who is responsible and required to notify affected individuals. Total liabilities and expenses for notification and crisis management totaled nearly $5,000,000. Your website comes under a distributed denial of service (DDoS) attack taking your business offline. We not only cover your lost income, but provide assistance and cover any extra expenses to get your business back online. Case Study: In the week leading up to Valentine’s Day, a local florist suffered a debilitating DDoS attack against their website resulting in lost sales totaling nearly 20% of their annual income. A criminal sends a deceiving funds transfer request to your controller pretending to be the CEO or a seemingly legitimate invoice for materials to your accounts receivable team. The funds may be out the door, but at least you're not out of pocket—we cover funds transfer losses resulting from security failures and social engineering. Case Study: An employee owned company in Nebraska was bilked of nearly $17M dollars when the company’s controller made a series of wires at the direction of someone purporting to be the CEO. In another incident, a small manufacturer in Ohio nearly transferred $315,000 to a criminal after receiving a seemingly legitimate looking invoice from a supplier for raw materials. Ransomware encrypts your data: a hacker encrypts all of your files and valuable data, and won't unlock them until you pay a ransom. We cover the costs to resolve the situation and restore your data if it is corrupted or lost. Case Study: The recent WannaCry and Petya ransomware infected and encrypted data on millions of computers globally, resulting in numerous business and manufacturing closures. In one such instance, extortion expenses and data restoration costs were expected to exceed $2,000,000 for a manufacturer in the midwest. A disgruntled employee or hacker disrupts your business operations. We make available and cover the costs of forensics, notification, and incident response experts, as well as the costs to restore your company's reputation. We also cover business interruption losses and the extra expenses you incur to restore your business operations. Case Study: A US-based information technology company used an overseas software vendor for some of their applications. The vendor left a backdoor on the company’s server and a “hacker for hire” was paid $20,000 to exploit the vulnerability. An employee makes a libelous comment about a competitor on social media or accidentally posts a private fact in violation of an individual’s right of privacy and you get sued. We cover the claims expenses (such as a lawyer to defend you) and any damages for liability arising from a multimedia wrongful act. Case Study: A technology company recently launched its website with a new marketing slogan, only to be hit with a trademark infringement suit contending the slogan was similar to its own trademarked material. The lawsuit resulted in an injunction and substantial damages. The software you sell makes an error that causes your customer to miss shipments. Your app stops working and your users are unable to access critical data or information. These events can cause your customers financial loss and result in your company being sued. We can cover the costs of defense as well as any judgments assessed against you. Case Study: A software developer with products supporting medical billing service providers had a small error in a billing calculation which led to thousands of under-billed invoices. The company was facing millions in financial damages, defense, and forensics cost as a result of this “small” error. An employee loses a laptop with the private data of your customers. A hacker breaches your network’s defenses and steals your data. A file cabinet with sensitive records is accidentally left behind in a move. Each of these events can trigger costly, mandatory reporting obligations, and worse, possibly result in your company being sued. We not only hire a lawyer to defend you, but also the costs to get you back on track. Case Study: Recently, a regional retailer lost the data of 80,000 customers following the theft of two laptops from a third party service provider. Under data privacy laws it is the retailer, not the service provider, who is responsible and required to notify affected individuals. Total liabilities and expenses for notification and crisis management totalled nearly $5,000,000. Case Study: In the week leading up to Valentine's Day, a local florist suffered a debilitating DDoS attack against their website resulting in lost sales totalling nearly 20% of their annual income. 3) A criminal sends a deceiving funds transfer request to your controller pretending to be the CEO, or a seemingly legitimate invoice for materials to your accounts receivable team. The funds may be out the door, but at least you're not out of pocket—we cover funds transfer losses resulting from security failures and social engineering. Case Study: An employee owned company in Nebraska was bilked of nearly $17M dollars when the company's controller made a series of wires at the direction of someone purporting to be the CEO. In another incident, a small manufacturer in Ohio nearly transferred $315,000 to a criminal after receiving a seemingly legitimate looking invoice from a supplier for raw materials. A hacker encrypts all of your files and valuable data, and won’t unlock them until you pay a ransom. We cover the costs to resolve the situation and restore your data if it is corrupted or lost. A disgruntled employee or hacker disrupts your business operations. We make available and cover the costs of forensics, notification, and incident response experts, as well as the costs to restore your company’s reputation. We also cover business interruption losses and the extra expenses you incur to restore your business operations. An employee makes a libelous comment about a competitor on social media, or accidentally posts a private fact in violation of an individual's right of privacy, and you get sued. We cover the claims expenses (such as a lawyer to defend you) and any damages for liability arising from your multimedia content. Summary only. Please read our Policy for all coverages, terms, exclusions, and conditions. We share your incentive to prevent incidents and mitigate damages should they occur. We offer more than just an insurance policy. We provide automated alerts, threat intelligence, expert guidance and recommendations, benchmarking, and ongoing monitoring to all of our policyholders. All included in our apps platform. Even the best defenses can fail. When they do, Coalition has you covered. All of our policies were created to meet your needs and are written on the behalf of (and backed by) Swiss Re, one of the world’s largest reinsurers, and Argo Insurance. Our unique partnership with Swiss Re and Argo provide you with access to Coalition's advanced risk management tools and claims expertise, and the unparalleled backing of A+/A rated insurers. Superior claims handling and incident response. Our in-house team includes former veterans of the NSA, CIA, and private security companies. Together with hand-picked partner firms (including incident response, forensics, public relations, legal, and crisis management experts), we stand ready to help you quickly recover from a cyber incident. Coalition is the best way for a company to manage cyber and technological risk. Coalition aims to help businesses and individuals manage, mitigate, and remain resilient in the face of dynamic and growing threats. Our mission is to solve cyber risk. We believe that solving cyber risk requires a holistic approach to risk management, not just cybersecurity. 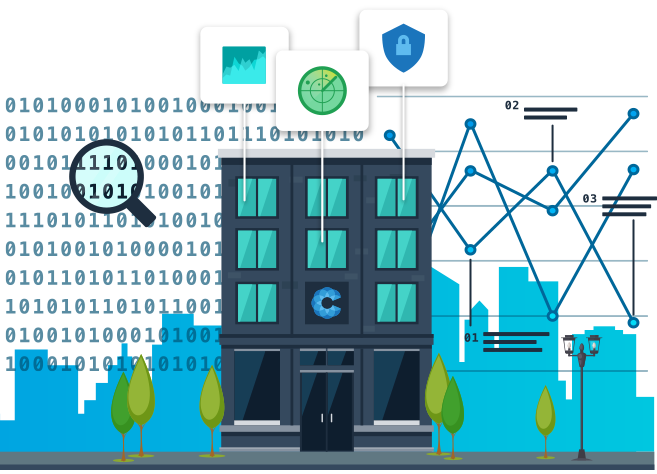 Coalition is the first insurance-enabled technology firm built to help businesses before, during, and after a cyber incident, all the while sharing the same incentives as our customers to avoid and prevent loss. We’ve experienced first-hand the difficulty of protecting an organization from constantly evolving cyber and technological threats. From systems failure to hacking, human error to denial of service attacks, on almost every front, it has become more difficult to build and operate a business in the 21st century. No amount of investment in defenses has solved the problem. It seemed clear that there should be an insurance-enabled technology-driven platform that allows businesses to prevent losses while remaining resilient should the worst come to pass. Coalition was founded in March 2017 and launched in October 2017. Coalition is headquartered in San Francisco. The company’s insurance products are backed by Swiss Re, one of the world’s largest reinsurers, and Argo Insurance. Not at all. Depending on the coverages, limits, and retentions you select, a cyber insurance policy can cost as low as $50/year. We’ve designed our policy and platform to be completely modular, meaning you can select the coverages, limits, and retentions that best suit you and your budget. The soonest effective date you can choose is the following day. As soon as your policy is bound by your insurance broker, your coverage will go into effect. Coalition is licensed in all 50 states.